Need an easy way to land and expand? 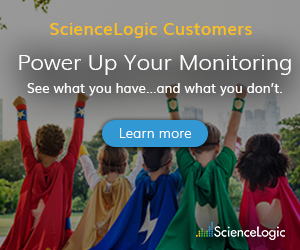 The PowerUp SL1 Inventory Analysis PowerPack shows MSPs what they’ve sold their customers and which devices are being monitored. Land and expand – for managed service providers (MSPs), it’s the established way to sell managed services. We landed already – but how do we expand? Surely with all the complexity of new IT technology and the increasingly dynamic nature of cloud-centric, containerized computing (coupled with skills shortages among our enterprise customers), it would be easier to expand our managed services footprint – right? Sadly, it’s not that easy. MSPs undoubtedly face a major challenge – how to increase account penetration and expand their services footprint – without the expense and delays of defining, funding and building out new managed services. While there is no substitute for all that hard work, wouldn’t it be nice to find some low-hanging fruit for a change? Question is – while we think it might be everywhere, where is it really? Our new PowerUp SL1 Inventory Analysis PowerPack shows MSPs exactly what they have sold their customers. Exactly which devices are being monitored – broken down by customer – and by technology. How can I identify ‘white spaces’ across my entire customer base? How many network devices am I managing at this account? How many servers or VMs? What is the customer doing with AWS or Azure? All of these are areas to explore for a new managed service offering. For our part, ScienceLogic helps our MSPs with new managed service definition documents for offerings such as Managed Storage – which we believe represents really low-hanging fruit – and Managed Public Cloud. We have created Managed Storage and Managed Cloud service definition templates at our MSP JumpStart site, which give you a head start in defining compelling new service offerings. 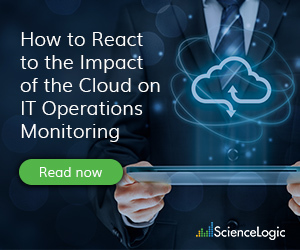 The JumpStart site includes other templates for Managed Cloud, Monitoring-as-a-Service, as well as more insight on how to create customer-facing dashboards and how to build tiered service offerings on the SL1 platform. Once you have a good picture of the entire installed base of managed devices, the SL1 Inventory Analysis PowerPack breaks it down further to identify opportunities within each individual account. The PowerPack provides at-a-glance views of the same breakdown of the devices by technology area that we monitor for each specific customer – so now your sales team can have an informed discussion with your customers about white spaces within each account and find ways to bring more of their infrastructure onto your managed service offerings. It also enables you to identify gaps and ask the customer how they are managing those technologies – all of which you are already equipped to monitor – no extra modules to buy, no per-customer fees – maybe just upgrade your device license count. 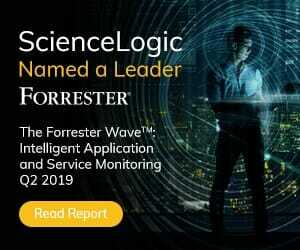 Similarly, when approaching new customers, there are ways that ScienceLogic increases your competitiveness and adds extra value for your new prospects (several of our established MSPs have adopted this approach on their new prospects). For example, by running a short discovery session and mapping out a live view of the customer’s cloud account, MSPs can identify the level of cloud sprawl at that customer –– in AWS, Azure, Google, IBM or Aliyun. They can also see how much compute and storage is in use, see how it is all organized (or not!) and what the dependencies look like – quite an eye-opener for a lot of potential customers! By enhancing your service offerings with features that illustrate how and what’s running within the customer’s IT environment, you’ll immediately add value and differentiate your offerings from your competitors. For more information, check out our monitoring pages website here. If you want to learn more in person, be sure to sign up for Nick Hassell’s session ‘Know What You’ve Got and See what You’re Missing’ at ScienceLogic Symposium which will take place in late April of 2019. Nick will demonstrate the new PowerPack and show how to get even more data on your installed device fleet and show ways to verify license usage, device tiering and more.